Audition — United Percussion and Arts, Inc. In order to download the combined audition packet, you must register. Once registered, you will receive an e-mail containing a secure link for download. This link is only valid for 24 hours from delivery. If you do not download within 24 hours, and the link invalidates, please contact info@unitedpercussion.org for re-delivery. The download link re-directs to a .zip file so it is highly recommended to download from a desktop device. You can register by simply clicking on the section button you wish to audition for. We do not charge a separate fee for audition packets. Membership in the A Class Ensemble will receive additional warm-up material once a contract is offered and the commitment fee has been paid. After completing your registration and download, we ask that you pay the audition fee. The fee is required prior to auditioning and is non-refundable. You may pay by using the button below. We offer a discounted fee of $50 before 11:59 PM on 9/7. It will rise to $60 thereafter. Those who were not able to attend our first audition are able to submit a video for evaluation and a possible callback. See the video audition guidelines for details here. Leading up to the audition, you can submit any questions to info@unitedpercussion.org or to our staff listed in your packets. We encourage all prospective members to link themselves to our social media accounts in order to network with other former, current, and future members. Connect with us on our official facebook, twitter or instagram pages. We also have a 2019 interest group on Facebook that you can join here. You may submit videos of your playing at any time leading up to the audition, for extra review and commentary. Snares/Tenors/Keyboard Players - We also require that you prepare a short audition piece. The piece should be at least 1 minute in length and should "showcase" your talents for the staff. If you have other talents, unrelated to percussion, be sure to let us know! All prospective members will also be tested on performance, acting and stage presence. How you present and communicate your technical ability is a BIG part of the process. Positions are available in every section and our auditions are open to anyone between the ages of 14-22 (must be born on or after April 1st, 1996). We are also accepting registrations for those interested in visual ensemble or audio/visual technical positions within the group. Click on any of the "register and download" section buttons and select your desired position in the drop down menu. Our first auditions are on Sunday, September 23rd, 2018 from 10 AM-6 PM at Sterling High School, 501 S Warwick Rd., Somerdale, NJ 08083. Please note that we pride ourselves on making sure that every potential member is evaluated and provided feedback. Due to the short nature of the day, it is recommended to become as familiar as possible with the audition materials so you can show us the best possible you. Callback auditions are scheduled for Sunday, October 7th, 2018 from 10 AM-6 PM at Sterling High School, 501 S Warwick Rd., Somerdale, NJ 08083. Video auditions are available if you cannot make the auditions in person for any international or out-of-town potential members. Please check out our video audition guidelines here for more info. I have marching band practice/other commitments on audition day, what should I do? United understands that many of our potential members march and/or teach. Therefore, we allow members to schedule audition blocks. Simply email the staff at info@unitedpercussion.org and advise us of your situation. We will work with you to hold your evaluation at a specific time. While we recommend that you stay for the entire audition, if you must leave early, you will be permitted to leave the audition after you are evaluated. How old do I have to be to audition for United percussion? Auditions are open to anyone aged 14-22. If you are a member of the military and enlisted at age 18, you may be eligible for the "military exception". This allows you 1 year of eligibility immediately after completion of your service. Please contact us at info@unitedpercussion.org to determine your eligibility status. I am trying out for United percussion, what should I bring to the audition? Drumsticks, water, and lunch. If you are trying out for the keyboard section, we will have mallets for you to use. You are welcome to bring your own. If you are trying out for snare, tenor and/or bass, you should bring your own drumsticks. If you have your own drum and stand, feel free to bring it. If you are trying out for the cymbal line, there will be cymbals available for use, but you are more than welcome to bring your own set. Potential members should also dress appropriate for the weather and also for a short movement related block with appropriate footwear (no jeans, jean shorts, or cargo shorts). I am involved in other music related activities (e.g. winter ensembles, drum corps, etc.). Can I still do United percussion? Most of United's members are full-time college or high school students who also participate in DCI, DCA, or other music-oriented programs within their schools. United encourages our members to participate in "Music and Art" related activities and, in most cases, can coordinate a schedule with your outside activity to allow dual participation. When do rehearsals begin and end? United practices on some weekends in the fall, with almost all weekends in the winter. The practice season begins at the end of November and lasts until WGI World Championships in April. The unit practices primarily on weekends, with the exception of our December move-in camp, March spring break camp, and WGI World Championships week. I really want to join United percussion but I have some prior commitments that conflict with the schedule, what should I do? In such a case, you should immediately bring the conflict(s) to our attention. Depending on the conflict(s), we may be able to work out a schedule for participation. Where does United percussion rehearse? I live outside the suburban Philadelphia area, is United too far for me to travel? United rehearses in locations central to the Philadelphia area. For those who will be taking public transportation we highly suggest traveling to 30th Street Station in Philadelphia. From there you will be able to easily carpool to the rehearsal locations. Member carpools are consistently available. 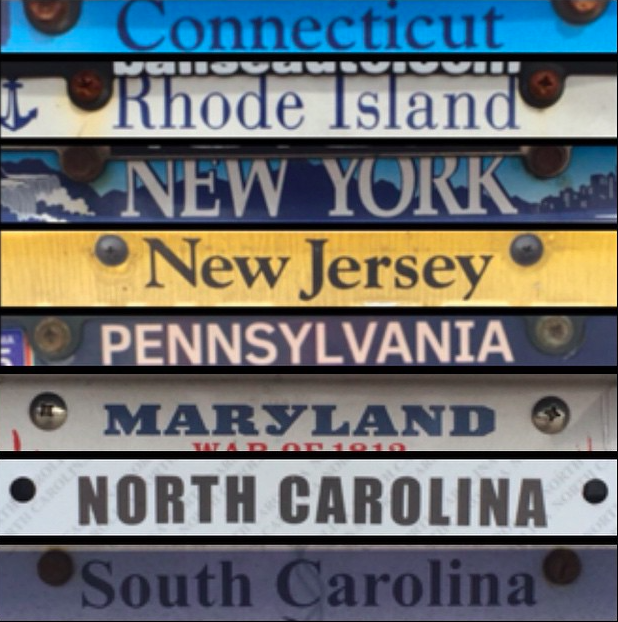 UP has had many members from Maryland, Delaware, Connecticut, Massachusetts, New York, New Jersey, Virginia and Pennsylvania. We have some members drive or carpool 8 hours round trip and some who travel 45 minutes. We have even had members move from Texas, Japan and Taiwan to New Jersey to march. If you have a desire to march, it can happen. How much does it cost to be a member of united percussion? We pride ourselves on keeping the cost to march as low as we can. The tour fee for United Percussion World will be $1500 for new members and $1400 for veterans and DCI World Class Finalists. The tour fee for United Percussion A Class Ensemble will be $1300. In addition to this fee, you will be required to participate in unit fundraisers and, separately, pay for your cost to the WGI World Championships. The latter usually averages about $400 and is not due until the end of the season. We do offer several payment plans to help with this fee. We also offer a $100 early payment discount for those who pay off by December 31st, 2018. Additionally, you should plan to pay for your own uniform, performance shoes, and food. Fundraising and sponsorship opportunities are available. In our region, you will not find a better bang for your buck than United. Does United percussion provide housing or transportation? We do NOT provide transportation or housing. We CAN assist you with coordinating them. If you are coming from out of town prior to the audition, simply email info@unitedpercussion.org and let us know. *all images via Josh Clements, Julia Wehrer, Jon Braude and United Percussion.